See our article in the Sylvania paper. ​Read the PRESS RELEASE naming our very own Director Jay Welenc as 2018 Teacher of the Year for The Ohio State Board of Education, District 2! We're off to see the world again (or at least a piece of it)! Click HERE to see where we're headed now! Yay, Lydia!! Read the article that features one of our many talented student members!! Click HERE to read the story! We had the honor of performing for Alliance Francaise de Toledo as they celebrated their 50th anniversary with a Mardi Gras! Click HERE to read the story! 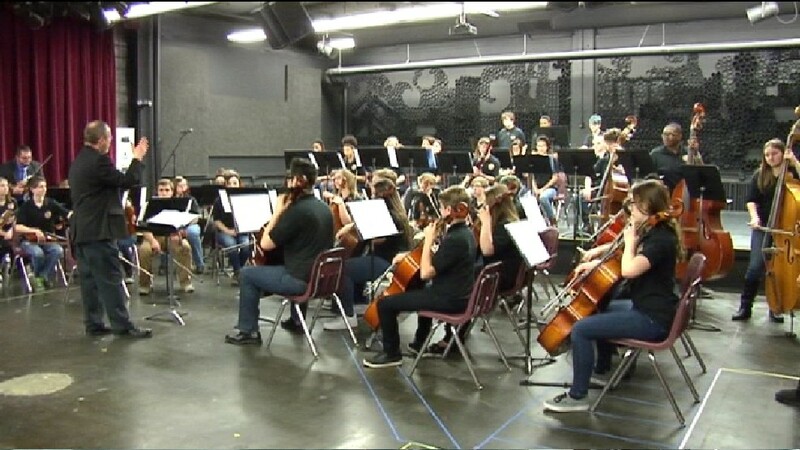 Check out this Blade article on the fundraiser for Ecuador and our open rehearsal! Click HERE to read the story! Thank you, 13 ABC, for the great news coverage of our Donor Night! Click HERE to read the story! Thank you, Jerry Anderson and WTOL 11, for featuring us on Leading Edge! What a great article in La Prensa today! Thank you to both WTOL 11 and NBC 24 who ran our story last evening!! We appreciate the support of the Toledo community!! Click on the photo above to view the story on NBC 24's website. Watch our feature on WNWO's Better Living!! Check out this great article in The Blade! Catch a glimpse of us at the Martin Luther King, Jr. Day Unity Celebration at The University of Toledo. Be sure to watch until the very end! Jerry Anderson and Linda Alvarado break the news during a segment about the Martin Luther King, Jr. Unity Celebration at The University of Toledo.